A German stick grenade from the 2012 Steven Spielberg WWI equine drama War Horse. 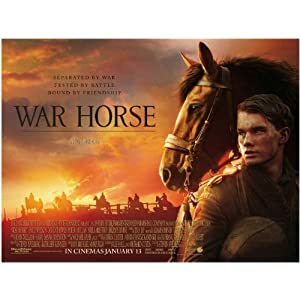 Pieces such as this were used by the German military in combat during the touching movie that follows Albert's (Jeremy Irvine) hopeful journey to recover his beloved horse Joey, sold to the cavalry to serve in the first World War. 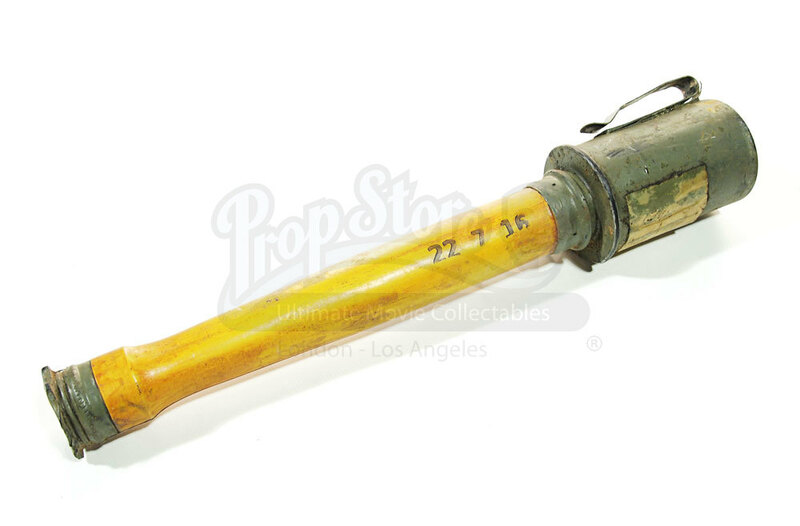 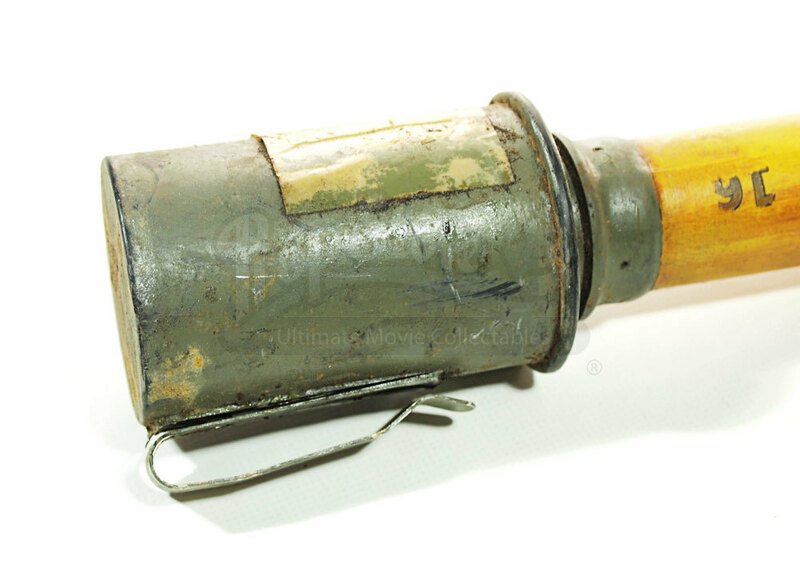 The prop explosive is made from solid rubber made to look like a wooden rod handle and a metal head, and was secured to the soldier via an actual metal clip. 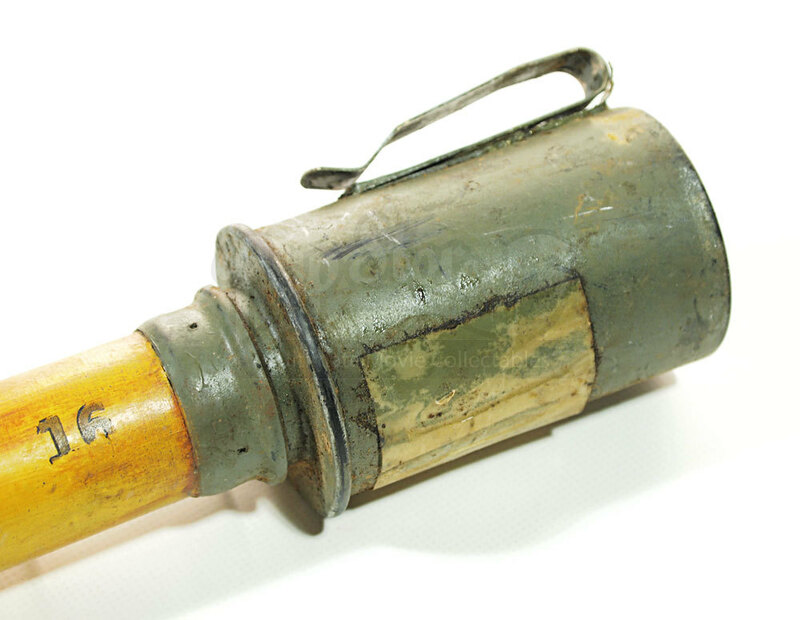 There are the remains of a label distressed intentionally by the production and use on the damp sets, marked as having a 5 ½ second timed fuse in black. 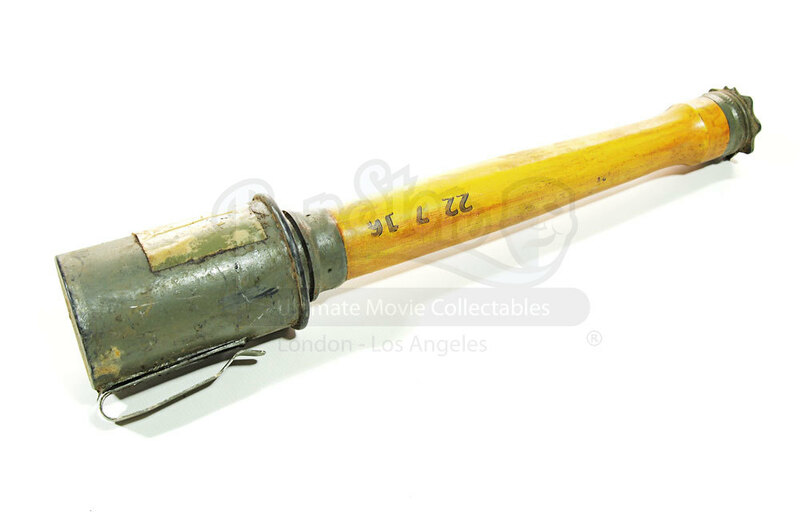 It measures approximately 37cm (14.5”) long in a production distressed condition.